The guy playing is PGI's lead designer Russ Bullock, whose six years of operating the Mechwarrior franchise has apparently not taught him that battlemechs rotate their torsos to line up shots. The game doesn't look terrible, but I wish the franchise was in the hands of a more capable developer. 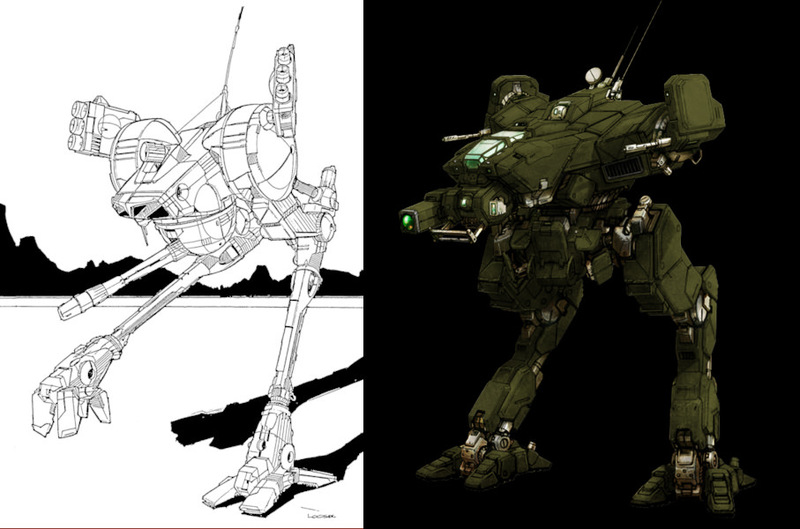 Besides the truly gorgeous mech designs (the adaptations from hilariously poor 80s lineart has always been the highlight of Mechwarrior Online), it all looks a bit cheap. MWO has been a decent shooter, but it's just never had the investment that it needed. There's a new $20+ mech pack (containing three variants of the same chassis) every month, but they've managed maybe one new map per year.